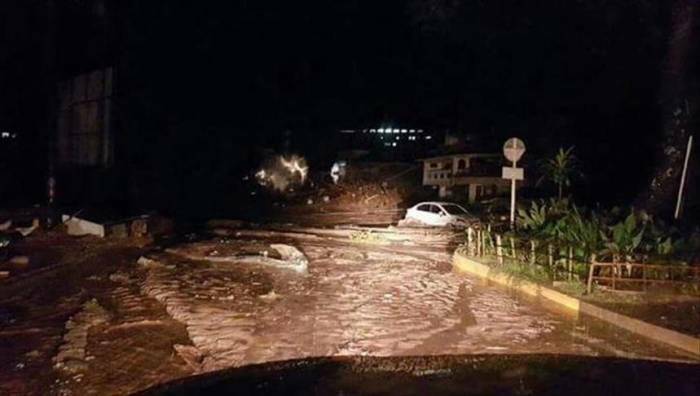 Around 5,000 people living along a river in northern Colombia have been evacuated due to potential flooding after a discharge tunnel collapsed at a dam. The Ituango Dam, which is being built along the Cauca River, is the largest hydroelectric dam under construction in the country. A state of emergency was declared in the countryside of Antioquia province, where the dam is located. Speaking to the press, Ivan Marquez, general manager of the National Unit for Disaster Risk Management (UNGRD), said it will take time to get things back to normal and those who have been evacuated are unlikely to return home for now. Military, civil defense and firefighting personnel are on standby in the area as a precaution, and more people are expected to be evacuated from the area. The dam’s two discharge tunnels were closed at the beginning of this year after the opening of a new tunnel. Tunnel collapses occurred on April 28 and May 7 and water discharge came to a complete halt. An attempt to reopen the old tunnels using explosives was unsuccessful, so discharging was enabled through the engine room, where equipment and turbines are located. Although the plan has left equipment worth hundreds of thousands of dollars submerged, water still cannot be fully provided throughout the area. In a letter to President Juan Manuel Santos, Luis Perez Gutierrez, the governor of Antioquia, reported that the situation at the dam is not technically controllable and that further problems might arise. Gutierrez also called on Santos to warn all units to take action to prevent the situation from turning into a tragedy. Evacuations were ordered in 12 settlement areas in the states of Antioquia, Sucre, Cordoba and Bolivar. The bodies of more than 150 people who were abducted and murdered by the Revolutionary Armed Forces of Colombia (FARC) are claimed to be in the area of the Ituango Dam. In February, some members of the European Parliament called on Santos to suspend construction of the dam so that residents could locate the bodies of their kin.